Alex Pettyfer is an English actor and model who has been in the limelight since he played Alex Rider in the film “Stormbreaker”. For this role, he was nominated for a Young Artist Award and an Empire Award. His other acting credits include “I Am Number Four”, “Beastly”, “Endless Love”, “The Butler” and “The Last Witness”. Alex Pettyfer was born on the 10th of April 1990, in Stevenage, Hertfordshire, England, United Kingdom. He is currently 29 years old. Alex attended The Mall School, a small school in Twickenham, Lambrook Haileybury School in Berkshire, and then Millfield School in Street, Somerset. He also went to Shiplake College near Henley-on-Thames in Oxfordshire. He was later accepted into the Sylvia Young Theatre School in London where he studied acting. Alex Pettyfer began dating Emma Roberts during the filming of the movie wild Child in 2008. But their relationship didn’t last long. He then was romantically linked with the Glee star, Dianna Agron, for over a year before they broke up in 2011. In 2012, he got engaged with American actress Riley Keough, but they ended their relationship in 2013. From 2014 to 2016, he was in a relationship with model Marloes Horst. In 2018, he began dating Gabriela Giovanardi. Alex landed his first acting job in the British television production of Tom Brown’s Schooldays, playing the lead character, Tom Brown, in 2005.
was nominated for a Young Artist Award and an Empire Award for his role. Though Pettyfer has appeared in several talk shows and other TV shows over the years, his debut in a Tv series came in 2018, where he played Tony Curtis in an episode of the SKY drama series, “Urban Myths”. Alex launched his professional career as a model at the age of seven by modeling for Gap’s children range. He has appeared on several fashion shows for Burberry including the 2008 Burberry – Spring/Summer, Burberry – The Beat For Men eau de cologne and Burberry – Spring/Summer (2009). Stormbreaker, a 2006 action spy thriller film, where he played the lead character, was his first breakthrough movie for which he was nominated for a Young Artist Award and an Empire Award for this role. Based on a novel of the same name by Anthony Horowitz, the film centers on a teenage boy who is recruited by the M16 after his uncle, who was a secret agent, gets killed in action. Pettyfer received rave reviews for his role. His another remarkable work in his career was his portrayal in the film Magic Mike alongside actors Channing Tatum, Cody Horn, Matt Bomer, and Olivia Munn. Produced on a budget of $7 million, the film earned over $167 million at the worldwide box office. 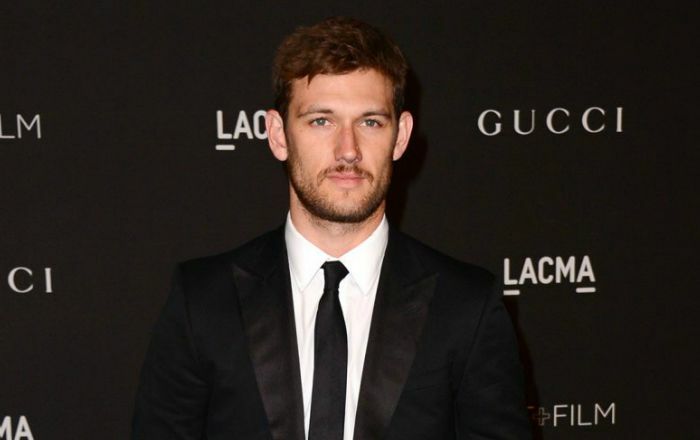 Alex Pettyfer has done endorsement work for fashion retailers Gap and Burberry. He has also appeared in a number of TV commercials. Alex Pettyfer has an estimated net worth of $4 million. He earns his net worth mostly from films. Alex began acting in school productions at a very young age. He played Willy Wonka in a school production of Charlie And The Chocolate Factory. He pitched into modeling at the age of seven as a child model, where he did ad campaigns for Gap. He was ranked at #35 in the list of “Most Eligible Bachelors” by British Women’s magazine Company in June 2009. In August of that year, the British magazine Glamour ranked him #21 on their list of the “sexiest men on the planet”. He has seven tattoos inked all over his body. Alex won Teen Choice Awards for his roles in the films, “Beastly” and “I Am Number Four”.